This turbo is now up for sale at RM 4,200, please get in touch with me if you're interested. Only 2 left in the entire Malaysia. The stage 2 turbo kit is finally coming in to picture with the arrival of the most important component which is the turbo itself. This little baby here is rated to produce up to 270 HP and is suitable for engines with the displacement from 1.4 liters and above. 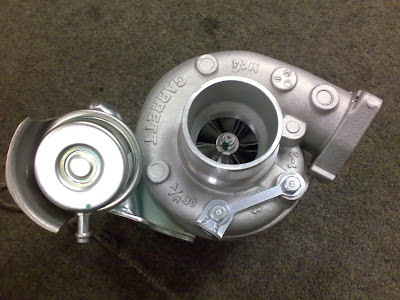 With a dual ball bearing design, we would expect minimal lag from this turbo even on the small 1NZ-FE engine. 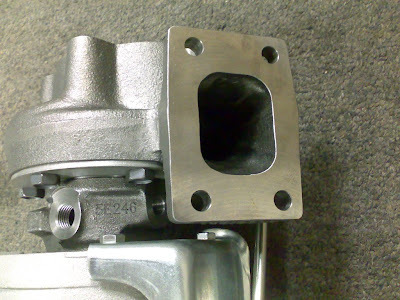 It is quite common for ball bearing turbos to spool up at least 15%-20% faster than similar sized journal bearing turbos while giving better damping and control over shaft motion, providing enhanced reliability for everyday driving. This GT2554R turbo uses a dual stainless steel ball bearing cartridge and is the smallest ball bearing turbo available from Garrett. With the ball bearing design, we won't need to supply as much oil as needed compared to journal bearing for lubrication of the turbo. 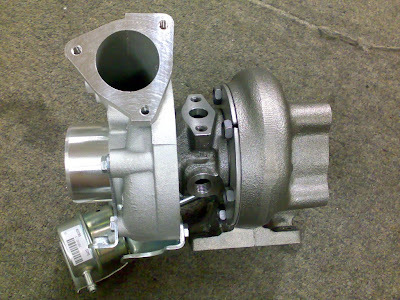 It also shares the same oil and water cooling housing design as my current GT2056 turbo, however the major differences between the both of them would be the bearing design and the power output. We'll see how well this turbo performs when it goes in. thanks a lot bro, its nice to get some compliments once a while rather than insults and idiotic comments from people who knows nuts about cars but yet pretends to know everything. *laughs* There will always be people like that around. I know what you mean. wish i could see your project monster live bro and definitely all the word that are comin from my mouth are only " fuiyooOo " or maybe some other few words that people couldn't understand. very nice monster you have there.good to see such proper project done. btw i am from zth as well but stays in singapore. hi bro ivan, thanks for stopping by! the car is actually using this turbo to make over 200 horse at the wheels on the stock 1nzfe engine and stock automatic transmission. as for the intercooler, the only place you could put is the front actually unless you want to do a scoop on your hood and mount your intercooler on top of your engine. 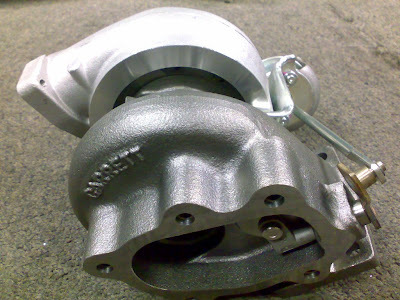 do you want to just get the turbo alone or you are interested in getting a complete turbo kit? let me know so i can help you. actually my yaris was already equipped with a turbo TRD kit when i bought it.so i just want to change the turbo,the injection and put the intercooler in front.all i know is i should put a 550cc injection.if necessary, i will use an ultimate e-manage or an AVCR for the electronic box. Don't hesitate to tell me anything or give me other ideas if you think i'm wrong. Thank you.